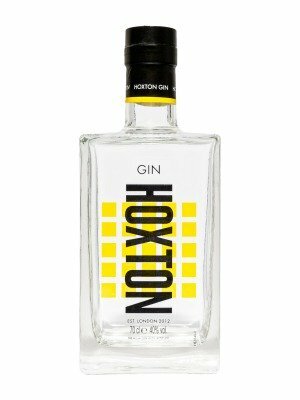 Hoxton Gin Coconut and Grapefruit Gin is a popular Craft Gin available from DrinkSupermarket.com in 70cl to buy online. Visit DrinkSupermarket.com for the best price for 70cl of Hoxton Gin Coconut and Grapefruit Gin or compare prices on our other Craft Gin products. Hoxton Gin takes the classic juniper-driven character of gin and adds something exotic: distilled with coconut and grapefruit, it is uniquely smooth and rounded, opening up a whole new world of possibilities. Immersed in the creative juices of Hoxton, Gerry Calabrese, owner of The Hoxton Pony, Shoreditch, had the idea of recreating a classic; to create a fun Gin that's like no other on the market. One that's smooth, easy and different from the rest - Hoxton Gin. It reinvigorates such standards as the G&T, and an additional dash of grapefruit juice transforms this classic. But it is so fine, there's no need to dress it up: try the Naked Martini - simply serve the gin straight from the freezer into an ice cold martini glass. Where to buy Hoxton Gin Coconut and Grapefruit Gin ? Hoxton Gin Coconut and Grapefruit Gin Supermarkets & Stockists. You can buy Hoxton Gin Coconut and Grapefruit Gin online in most retailers and find it in the Craft Gin aisle in supermarkets but we found the best deals online for Hoxton Gin Coconut and Grapefruit Gin in DrinkSupermarket.com, TheDrinkShop, and others. Compare the current price of Hoxton Gin Coconut and Grapefruit Gin in 70cl size in the table of offers below. Simply click on the button to order Hoxton Gin Coconut and Grapefruit Gin online now.